The message about Monarchs is spreading across the country. I recently came across this blog post by Carol Dukes. Carol is an artist and farmer, who lives on her “Vegetarian and Eco-Friendly” farm in Western Massachusetts. 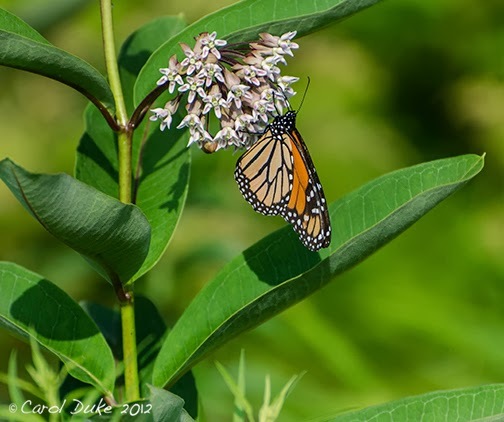 She writes about “Monarch Migration Milkweeds and Monsanto” with beautiful photos to compliment the serious message. I think that people are getting the picture, aren’t they? Do you have any examples of people who have changed behavior due to our preaching a message about the need to remove synthetic chemical support systems from the gardening tool bag? ← Interested in being on a TECHNICAL REVIEW COMMITTEE?